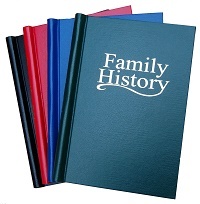 Add a little style to your family history by using these 'parchment' pages to record all you find and create a lasting story for other family members to read over the coming years. 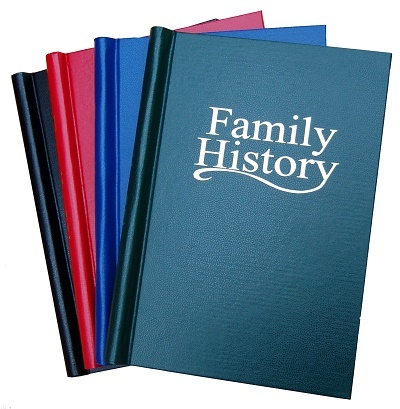 The pages in this pack are printed on our very high quality acid-free 90 gram 'parchment' paper. 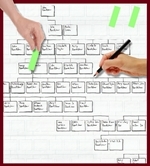 These A4 Family Tree Book pages are preprinted ready for you to use and then insert into a binder. 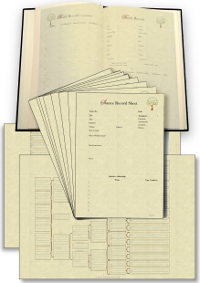 The attractive double sided pages may be photocopied for your own use and we supply a discount voucher code for use at www.twrcomputing .co.uk where you may download printable versions or templates for use with blank A4 'parchment' paper sheets. These pages work extremely well in our springback binders.